Who Are Las Vegas Top Real Estate Agents? 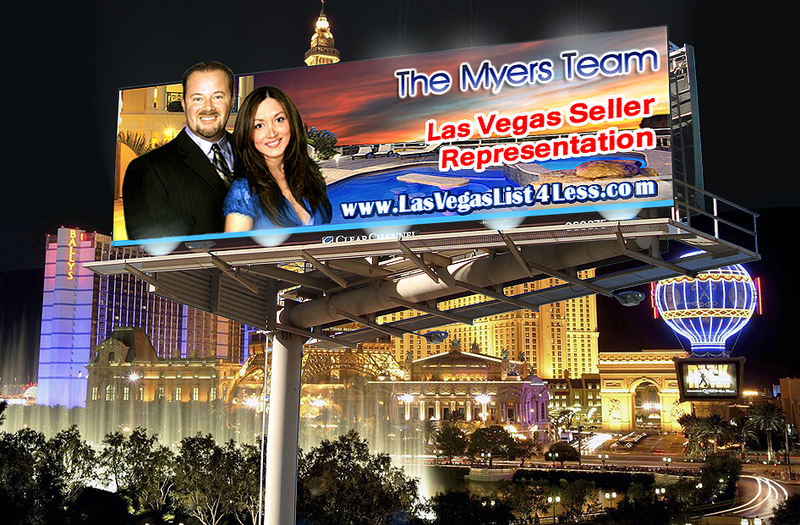 Nobody Finds "BUYERS" Faster Than The "MYERS"
When the housing market crashed in 2008, The Myers Team received national attention by helping thousands of Las Vegas homeowners avoid foreclosure. Today, they are once again making headlines as "Las Vegas Top Real Estate Team." For the past two decades, Bill and Francoise Myers have been top-grossing real estate agents in the ultra-competitive Las Vegas market and continuously setting sales records in its adjacent neighborhoods, such as Summerlin, Henderson, Green Valley, Spring Valley, North Las Vegas, Southern Highlands and Boulder City. 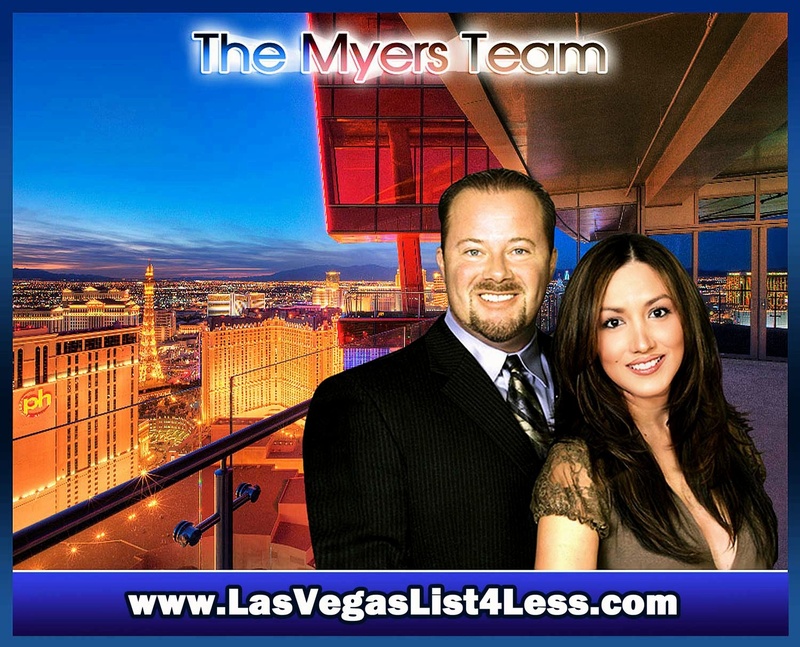 Over the years, The Myers Team has consistently represented the "Heart and Soul" of the Las Vegas community. Their clients include: hotel and casino staff and management, food and beverage employees, military families, firefighters, police officers, teachers, local entertainers, celebrity chef's, (including the Culinary Director for Bobby Flay), local business owners, investors, and even the Inspector General of the United States Air Force. Additionally, they have worked with several prominent Las Vegas real estate attorneys and been called upon multiple times for their market expertise. Their hard work and diligence in representing their clients has made them one of the most trusted, respected and sought after real estate teams in Nevada. The internet has changed the way people do business and real estate is no exception. Before the Internet, agents relied on open houses, yard signs, flyers and newspaper ads to sell homes. Modern technology has made these "pre-Internet" marketing strategies outdated and ineffective. Technology has changed the way Buyers search for homes. According to the National Association of Realtors, (NAR) over 90% of homebuyers begin their home search online, visiting sites such as Realtor.com, Zillow, Redfin, Homes.com and Trulia. Today's internet savvy Buyers are NOT driving around random neighborhoods looking at “Open Houses” and "For Sale" signs. Instead, they are searching from the comfort of their homes using laptop computers, smartphones and tablets. Therefore, if you wish to market your home to the largest pool of eligible Buyers, then it needs to be advertised online. Using an agent who relies on open houses as their primary marketing strategy is like hiring a secretary who still uses a typewriter instead of a computer. Many people assume that all real estate agents are the same; however, this couldn't be further from the truth. As with any other profession, there are those who have embraced technology while others struggle to keep up with the times. 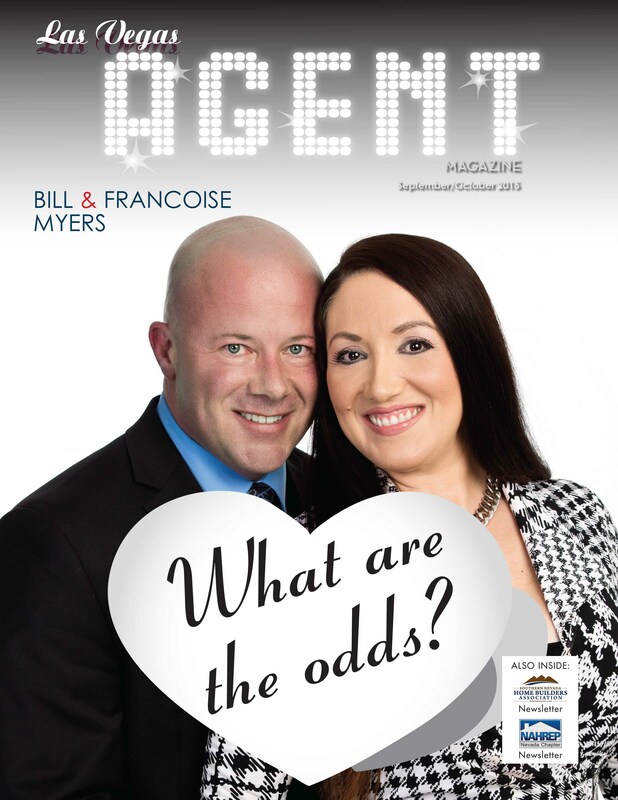 Myers Team owners Bill and Francoise Myers are internet marketing experts. Their homes sell faster and for more money because they know how to effectively reach today's homebuyers. Most of Las Vegas homebuyers come from out of state. How will an open house attract a Buyer from California, New York or Hawaii who's searching online for homes? As you drive through your neighborhood each weekend, it's normal to see many open house signs. Have you noticed it’s usually the same agents doing open houses week after week? (usually for the same homes) Maybe these homes would sell faster (and for more $$$) if the listing agent knew how to advertise them online. Open houses are a poor marketing strategy because most of people who show up are nosy neighbors. When selling your most valuable asset, it pays to work with a Broker who specializes in Internet marketing; not one who still uses a marketing plan from 1985. The Myers Team understands the importance of technology. When it comes to Internet marketing, they are considered the best in the industry. (They've even published a book on the subject) By using mobile technology, top-notch photography, professional home staging and innovative online marketing strategies, Myers Team listings receive more than ten times the exposure as agents who rely on outdated marketing methods. Additionally, their listings feature cutting-edge virtual tours, which is like having an online open house 24 Hours a day…7 days a week. Myers Team listings are advertised on all the major real estate web sites. When you hire The Myers Team, your home WILL be exposed to the largest possible pool of eligible Buyers in the local, national and global arenas. In real estate, there are essentially two types of agents. An agent who represents the SELLER is referred to as the “Listing Agent.” Listing agents work for the Seller and it’s their job to represent the SELLERS best interests. An agent who represents the BUYER is referred to as the “Buyers Agent.” Buyers agents work for the Buyer and it’s their job to represent the BUYERS best interests. Listing your home with an agent who spends most of their time working with Buyers can be disastrous for a Seller. If your agent is driving around all day with a car full of people, will they be able to answer the phone if someone calls with questions about YOUR home? Will they be able to remember and explain all the details that makes your home unique? Will they return phone calls and emails in a timely manner? The Myers Team specializes in Seller representation. They don't just show your home to "Buyers they know." They advertise your property to every Buyer and Buyer's agent in the country. They have a full time staff of agents and assistants that handle every aspect of the home selling process. When you work with The Myers Team, you deal directly with owners Bill and Francoise Myers; not junior assistants or support staff. The Myers Team works with Buyers too; however, they have agents on their team who are certified Buyer specialists and deal exclusively with Buyers. The Myers Team will help you stage your home for photographs and showings. They will identify your home’s strengths and market them accordingly. Their professional-grade photographs will be uploaded to the top real estate websites. They will be present when Buyers do inspections and not leave you alone to deal with home inspectors. They will handle every detail from listing to closing. Why Choose The Myers Team? Las Vegas is a city full of great people; however, do you sometimes feel that customer service isn't what it used to be? Many businesses promise the moon and stars yet fail to deliver. Either they don’t appreciate your business or they’ve forgotten what “exceptional service” is all about. We live in a time where doctors make you wait 30, 60 or even 90 minutes longer than your appointment time without apology. When you call a repair person (i.e. plumber, electrician, etc.) they typically give you a 4-6 hour window and make you sit around all day waiting for them to show up. Have you gone out to eat recently and the waiter acts like he or she is doing you a favor by waiting on you? Have you walked into a store and can’t find someone to help you or they’re too busy playing with their cell phone? Do you sometimes feel that if you don’t follow up on others, things just don’t get done the right way? There are thousands of agents out there; however, when you hire The Myers Team, you are hiring the BEST. Our motto is WE WORK FOR YOU. We are perfectionists and our attention to detail is second to none. Our job is to follow up on everything and everybody to ensure the job gets done correctly the first time. There are many things that can go wrong in a real estate transaction. We have the experience, knowledge and negotiation skills to handle any issue or obstacle that may arise. You shouldn’t have to follow up on others to ensure the job is handled correctly. That’s our job! We are ACCOUNTABLE and we hold others accountable. We take client representation seriously. Every action we take is in YOUR best interest. Our job is to protect you, take away the stress of moving and negotiate the best possible deal on your behalf. Most people think the first step when selling a home is to put a “For Sale" sign in the front yard. While yard signs attract attention, it's not always the type of attention you want. Are you prepared for random knocks on the door from strangers (unaccompanied by agents) asking to view your home? Nobody wants unannounced visitors when you're in the shower or getting ready for bed. While most Brokers are eager to get their sign in your front yard, we let our clients decide if this is something they want. We feel that anyone who wishes to view your home should make an appointment first. Let’s face it, your home will show much better if you have some advance warning to clean up the dishes or pick up the clothes on the floor. Unannounced showings are great for new model homes; however, those homes are not lived in by actual people with jobs, kids, pets, etc. Open houses present some of the same safety concerns as yard signs. During an open house, there is typically no screening process regarding who enters your home. Are you prepared to let complete strangers into your house who might not be qualified to buy it? Many times, the agent doing the open house is pre-occupied talking to visitors, while strangers walk around unsupervised. You can’t be too careful when it comes to protecting your family and your assets. Your safety is important to us. We believe that anyone who enters your home should be pre-qualified by a lender and accompanied by a licensed real estate agent. The importance of safety cannot be overlooked. What's My Las Vegas Home Worth? Many home sellers are using websites such as Zillow to determine the value of their home; however, are these sites accurate? To answer this question, it’s interesting to compare Zillow to the Kelley Blue Book. When you sell a car, most experts trust the Kelley Blue Book because it requires you to answer a series of questions about the car’s condition, upgrades, accessories, etc. before it provides a value for the vehicle. Real estate experts do not consider the Zillow “Zestimate” to be credible or accurate because it doesn't take into consideration the condition of a home or its upgrades. For example, if your home has laminate kitchen countertops, vinyl flooring, outdated appliances and semi-worn carpet, is it worth the same as a neighbor down the street who has a model match home for sale, (same square footage, number of bedrooms, etc.) that's been upgraded with new appliances, granite countertops, hardwood flooring, fresh paint, etc.? Most Buyers take into consideration how much money they will need to spend before moving into a home and tend to make offers accordingly. The Myers Team knows how to find Buyers for ALL types of homes; even the “not so perfect ones.” We work with investors who buy homes in every imaginable condition. We will come to your home and walk through each and every room to help you determine the highest possible sales price. What Does It Cost To Sell My Las Vegas Home? The most common question homeowners ask when interviewing real estate agents is, “How much commission do you charge?” While this is a valid question, there are many other negotiable expenses when selling a home. The question that should be asked is, “What is the total out of pocket expense to sell my home.” (Not just the commission) Some Brokers attempt to win you over by offering a reduced commission; however, they make up the difference by charging additional fees that are sometimes referred to as transaction fees, storage fees, compliance fees, signing fees, Broker fees, etc. In the end, the total cost for a Seller could actually be more expensive than using a non-discount Broker. While real estate commissions are negotiable and there is no fixed or standard rate, you should remember the old expression, "You get what you pay for." Hiring a discount Broker does not always translate into increased revenue for a Seller. In fact, each real estate contract contains dozens of expenses that are negotiated between Buyers and Sellers. Just like a good CPA can save you thousands of dollars on a tax return, an experienced listing agent can save you a fortune by helping navigate the hidden costs and expenses found in a purchase agreement. The cost of title insurance can vary significantly between companies. 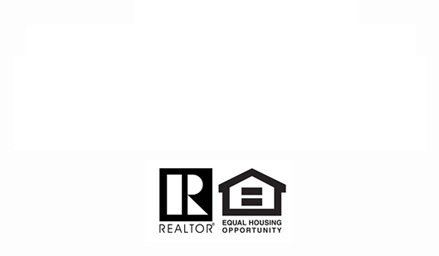 Our preferred escrow and title partners offer the most competitive rates allowed in Nevada. This helps put more money into our clients’ pockets. When you list with The Myers Team, the total cost of selling your home is actually less expensive than many of our competitors. We EARN our commission by charging less to sell your home. It’s that simple. Experience is NOT expensive…it’s PRICELESS.